Other than the preparation work, this dish was a doddle to make. Simply drizzled with olive oil, a little seasoning and then roasted in the oven. In a separate pan, I also roasted some beetroot as I didn't want it bleeding into the other vegetables. When all the vegetables were ready. I piled them elegantly on a plate and served with some parsley olive oil, sharpened a little with white wine vinegar. 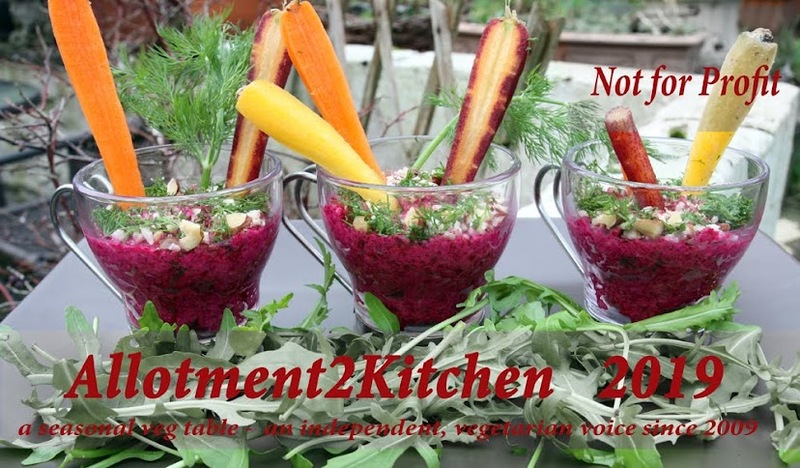 I enjoyed all the vegetables, except for the beetroot, which I transferred to Ds plate when he wasn't looking. I am going to miss the winter veggies! Spring here we come! Beautiful veggies. They made my mouth water. Signs of spring here, but we've still got plenty of winter vegetables to go though. Yum. Those vegetables look like so many jewels. I love your presentation. That looks a colourfull meal to tempt those tired taste buds! I love roasted beetroot, and all the others too, delish! 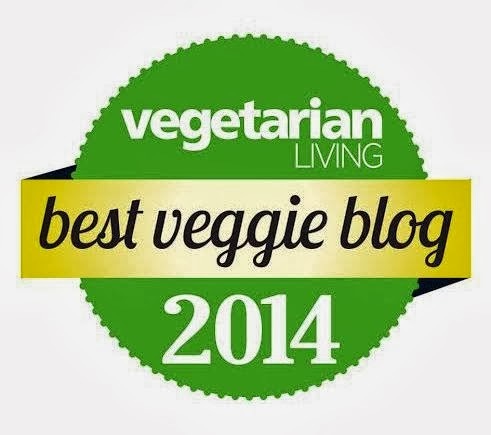 Can't go wrong with roasted veg can you? Hope this means you are feeling better now too! I love the idea of the parsley oil- will have to try it. 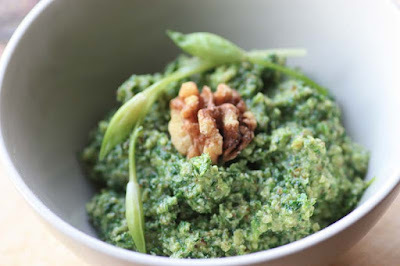 Do you just blend parsley, olive oil and the vinegar in a food processor? 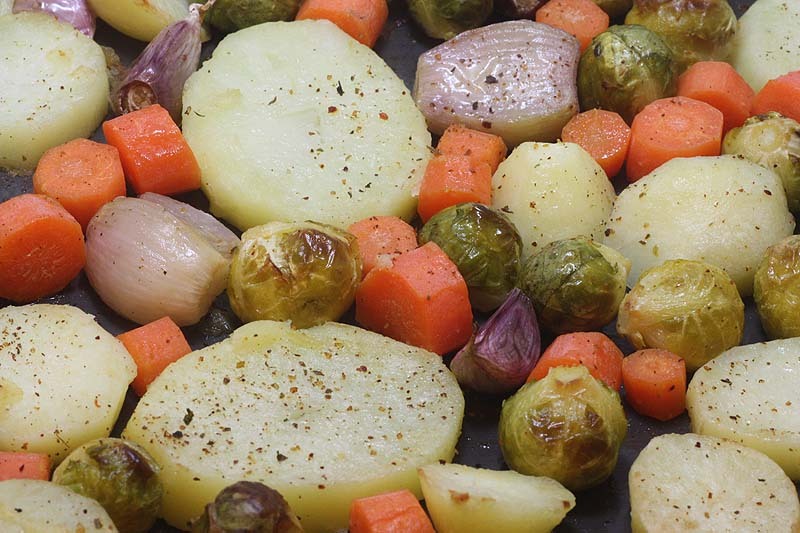 I love roasted veggies, these look deelish. The parsley oil is a very nice touch. I feel the same as you about the beets! LOL! MMMMMM,...I so love well roasted & tastty veggies!! That parsley oil with the white wine vinegar in it sounds so exciting! Yeah! Fab presentation too in the last picture! Thank you CatsnGrams. The vegetables were moist. Thank you Rose. I try to make the plate look good for the photo, I assure you I don't always plate them up so prettily. Thanks Peggy. It sure was a colourful plate. The parsley oil especially perked up the other flavours. Though still sitting on my throat. Yes, I def. much better. HI Funkbunny. I knew I needed something for the roast vegetables, and it was going to be some gravy, but I had some parsley. So I put a good handful with the stems into the food processor, with a generous glug of olive oil and some white wine vinegar pretty much to taste. As I blended I just kept tasting it so it was to my liking. Please do have a go and make it to suit your taste buds. It would work well with coriander too. I think its pretty versatile and could be used for pasta and potato salad. I hope your doing well. YOu certainly are a busy bee with work these days, which is good. Its good to be busy. I haven't had roasted vegetables with pasta for a while, the one time I do eat that kind of dish is during the summer, when courgettes and peppers are plentiful. Thank you Sophie, I do think the parsley oil was needed (or gravy) otherwise the roasted veg would have been dry. Thank you HannahBanana aka Amanda. The parsley oil was really good and pretty versatile. Thanks for being in the same boat as me re the beetroot. Have a wonderful weekend! 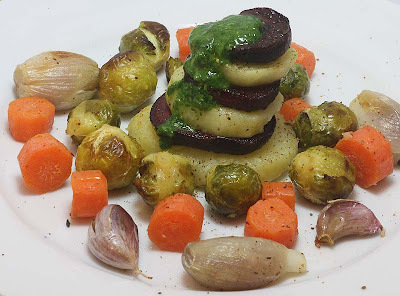 I love roasted veggies, my favourite way to eat veg - actually. And please, no need to apologise, this is blog world - our real life takes priority. But thanks for your kind words, means a lot.